As we have more and more music on iTunes library, iTunes has occupied more and more space on computer, which does harm to the good performance of our computer. To solve this problem, we need to move music from iTunes to external drive. However, do you know how to copy iTunes music to external hard drive? If not, let’s read the following guide. iTunes is abundant in awesome music and movies, thus many music fans prefer to listen to music on iTunes. iTunes is also crowned as a wonderful backup tool for iOS devices. You can sync your iPhone information with iTunes to keep your data safe. As long as you log into the same Apple account, you can also easily sync your old iPhone information with new iOS devices. To move iTunes music to external drive directly on iTunes, let’s read the following steps in detail. 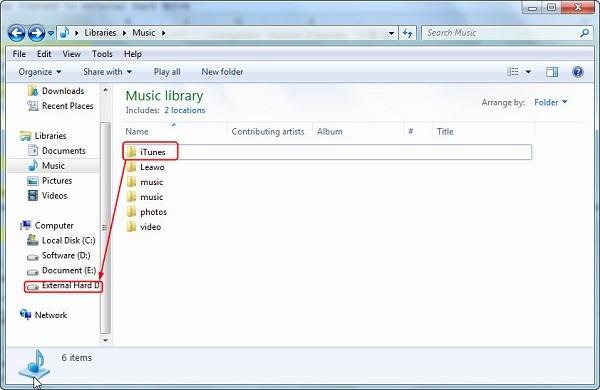 To transfer iTunes music to external hard drive, we have to first find the iTunes media folder. To find it, you can open the latest iTunes on your computer and go to “Edit > Preferences > Advanced”. 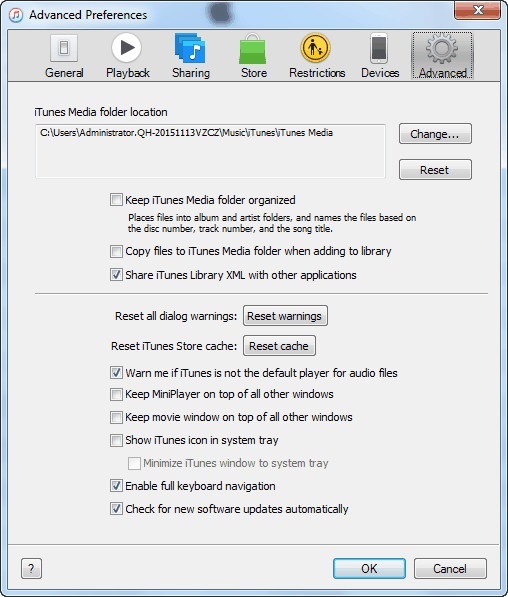 You will see “iTunes Media folder location” below which displays the location of iTunes media. Back to the main interface and tap on “File > Library > Organize Library” in the top menu bar. Check “Consolidate files” and click “OK” at bottom right corner. 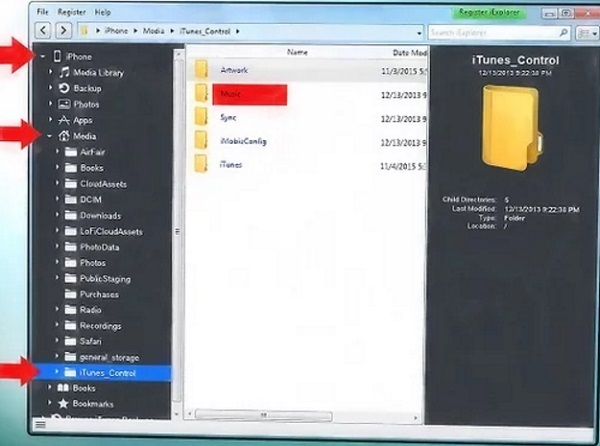 In this way, all iTunes music will be saved in the iTunes media folder on your computer. Insert your external drive to your computer via USB cable and the computer will recognize it automatically. 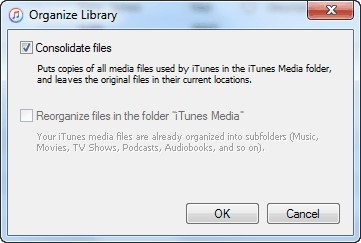 Close iTunes and locate the folder of iTunes media. You can directly drag and drop the folder to external hard drive. Or you can right click the folder to choose “Copy” and open the target folder on external hard drive to right click anywhere to choose “Paste”. Therefore, you store iTunes music on external hard drive. To move iTunes music to external drive, you should run Leawo iTransfer after downloading and installing it. If you don’t install iTunes on your computer, Leawo iTransfer will ask you to download iTunes. In this way, you can access iTunes library on this software. In the left sidebar, you will see iTunes library. Below the library of iTunes, you are allowed to transfer app, music, movies, TV shows from iTunes to other devices. Besides, connect your external hard disk to computer with USB cable. Click the library of iTunes and go to “LIBRARY > Music”. In the right interface, you can see a list of music on iTunes. Hold “Ctrl” and select music, then press the transfer button at bottom right corner. Or you can right click the selected songs to choose “Transfer Now > My Computer”. A window will pop up and check “Save to folder”. Click “Change” to choose external hard disk as the output directory. 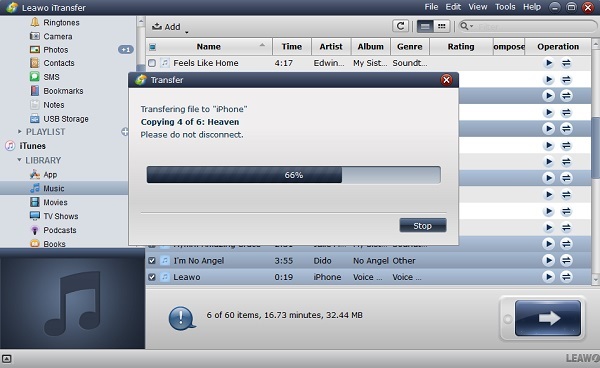 Afterwards, click “Transfer Now” and the software starts to move iTunes music to external drive. Similar to Leawo iTransfer, iExplorer is able to transfer various kinds of contents like music, photos, apps, books, etc. between computer, iTunes and iOS devices. 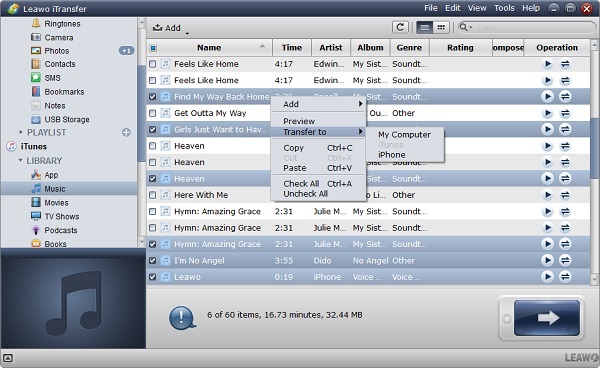 It also allows you to select multiple songs and transfer them at once to computer. 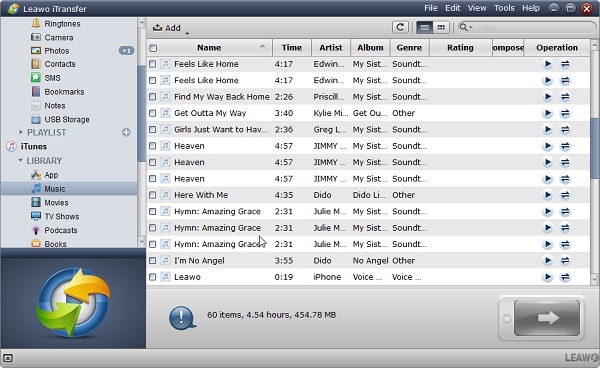 With super modern and concise interface, iExplorer also enables you to manage playlists by creating or transferring them to iTunes or your computer. Besides, you can adopt iExplorer to delete duplicate songs to manage your iOS devices space. Usually, you can’t directly copy music from iTunes to external hard disk via iExplorer. However, if your iTunes music is the same as iPhone music, you can try the following steps to learn how to transfer music from iTunes to external hard drive with powerful iExplorer. 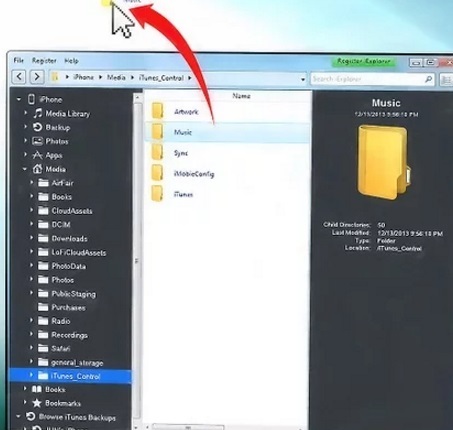 Plug iPhone and external hard drive to computer via USB cable and open iExplorer by double clicking iExplorer icon on your computer. 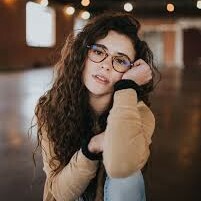 After a while, you will see the software detect your iPhone and display the basic information of iPhone like capacity, serial number and so forth. In the left sidebar, go to “iPhone > Media > iTunes_Control”. In the right interface, you can see different folders. Now mouse over “Music” folder, then drag and drop the folder to the target folder on your external hard drive. After waiting a few seconds, you will get iTunes music on external drive.